Put the kettle on, it's time we had a good old natter. Everything going swimmingly or are you the proverbial swan gliding along serenely whilst paddling like billy-o under the surface? 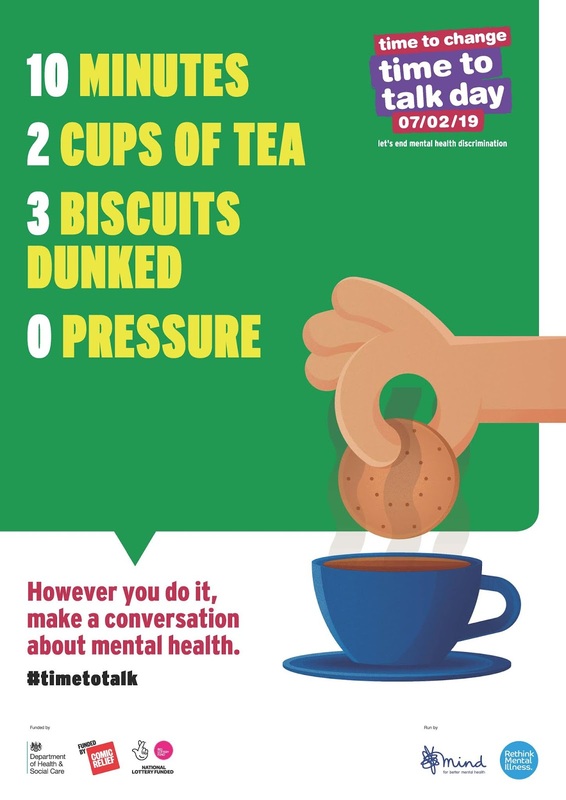 Today is the day to share the load it's Time to Talk Day which encourages everyone to talk about mental health. Mental health problems affect one in four of us, yet people are still afraid to talk about it. Maybe you're doing OK today but yesterday, last week or last year was a different story. Perhaps you have a problem that's caused you to seek help but don't know how to tell anyone or you've plumbed the depths of depression, just like Victoria Pendleton admitted last month. Maybe you've recently received a diagnosis of a mental health condition or like Freddie Flintoff you're battling an ongoing condition or addiction, depression and alcoholism in his case. Some diagnoses are more difficult to reveal or explain especially if it's something like a developmental disorder that we 'expect' to see in children but not adults, such as Chris Packham's autism or like Ant McPartlin who revealed in January he's recently been diagnosed with ADHD, just like Rory Bremner - using examples like these can open the door to a conversation where it's easier to drop in, "Oh I have that" or "I sometimes feel that way". Mental health can be impacted by a wide range of events and other illnesses or accidents, particularly life changing ones, which affect how we see ourselves and interact with the world, these are no less serious than ones with a label. By talking about all of these mental health problems large and small, diagnosed or not, we can remove the stigma that is unfairly attached to them and make it easier to seek help at a time when it's desperately needed.